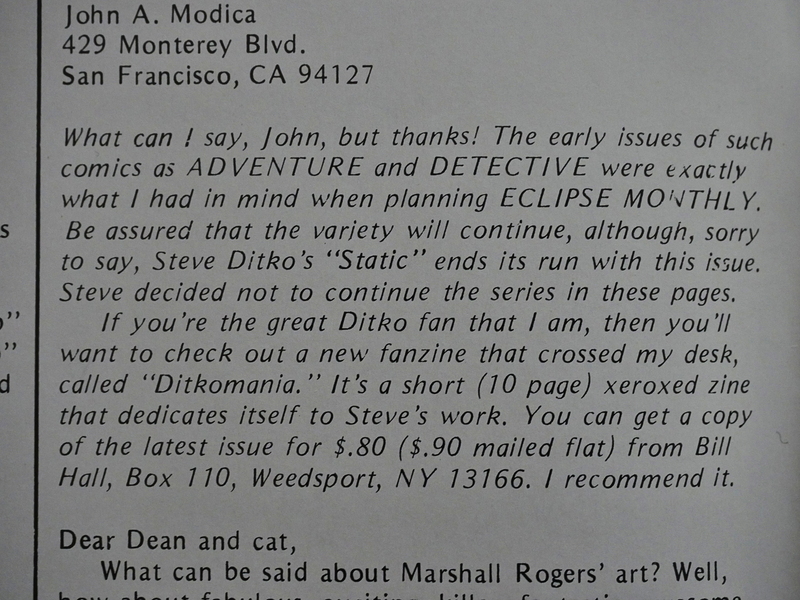 Eclipse Monthly (1983) #1-10 edited by Dean Mullaney. 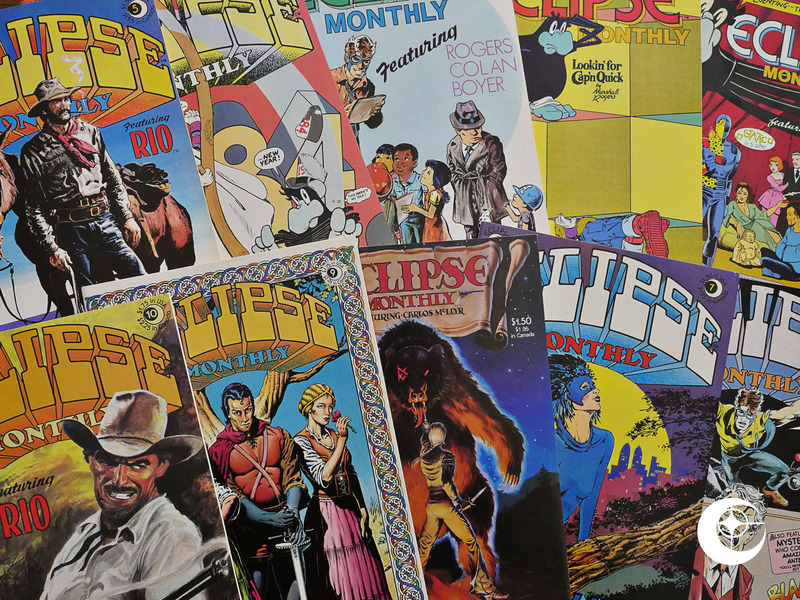 Eclipse Monthly is a direct continuation of the Eclipse magazine, but whereas that had been in black-and-white and featured an eclectic selection of features, Eclipse monthly is in standard comic book size and in colour. It’s 48 pages long, which is a really nice length for an anthology: You have the possibility of featuring longer sections without feeling like the issue is just that one section, and you can experiment with having oddball features dropping in on a trial basis. But Mullaney seems to be going towards a more stable approach: Keep the same five features going in ever issue. And what he seems to be hinting at in the editorial: NO SUPER-HEROES! 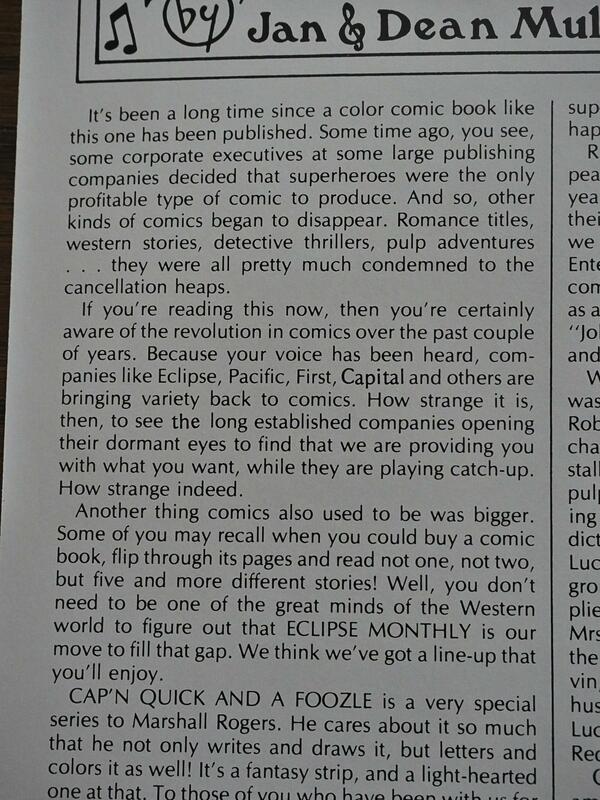 So we get Cap’n Quick and a Foozle by Marshall Rogers, which is a manic, well-drawn delight of a comedic sci-fi tale, which (very vaguely) connects to the Foozle story he did in the first issue of the Eclipse magazine. B.C. 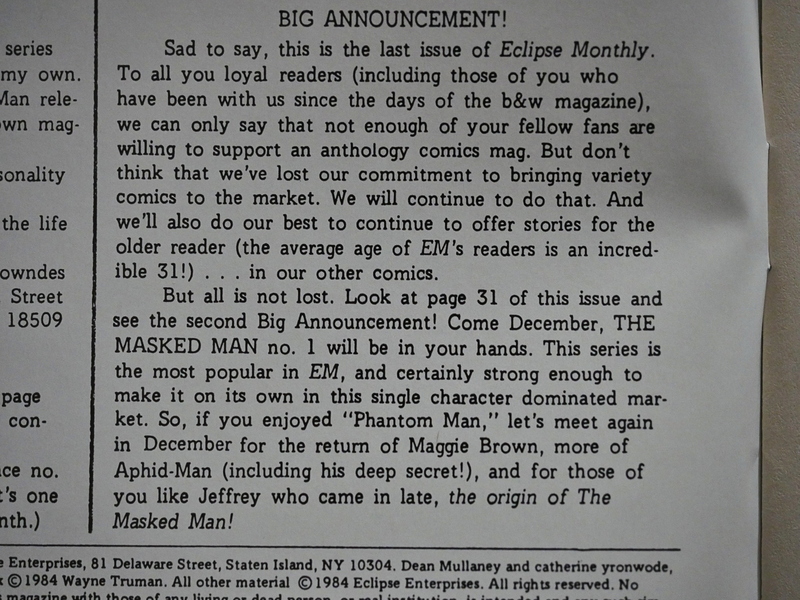 Boyer continues The Masked Man from the magazine, and steps up the funny. 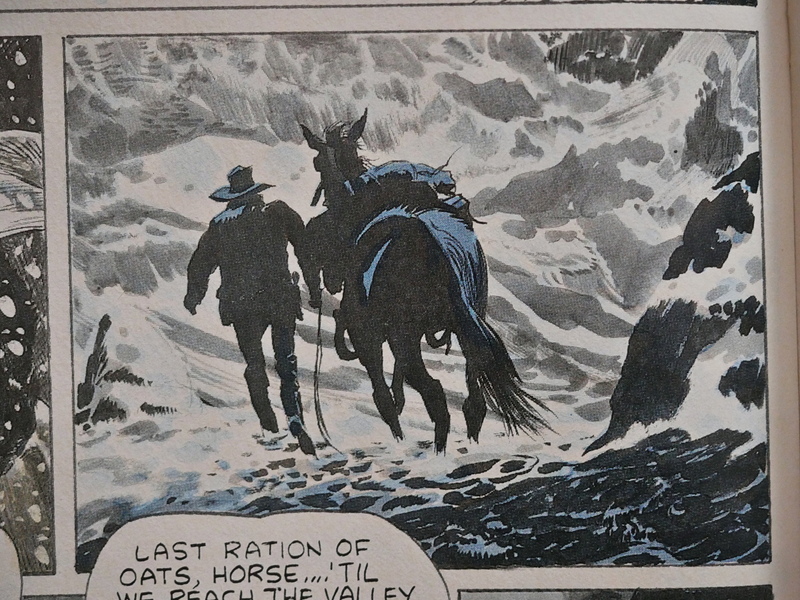 Doug Wildey does the beautifully rendered Rio western. I mean. Look at that steam engine. Like at that horse. Look at that engineer. Look at that cowboy. It’s all so perfectly westernly gritty. 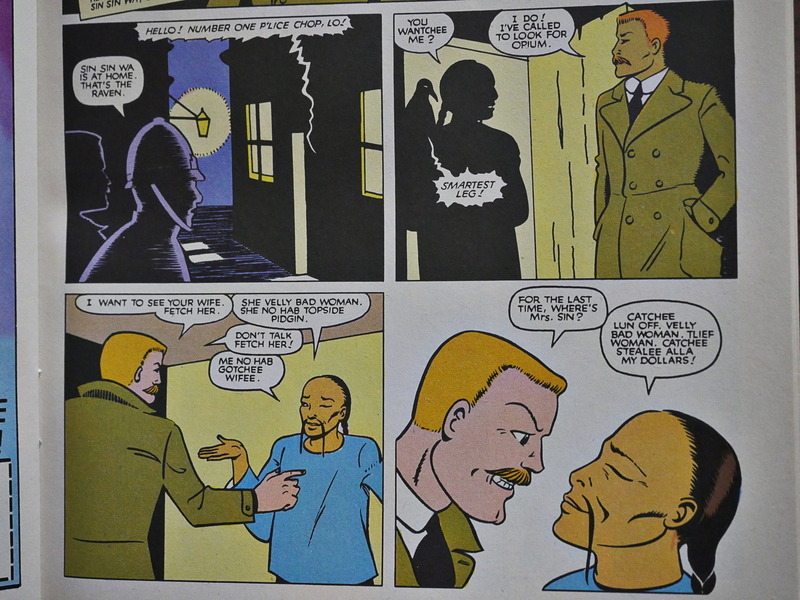 Trina Robbins continues her adaptation of Sax Rohmer’s Dope, to the dismay of everybody who writes a letter to Eclipse Monthly. 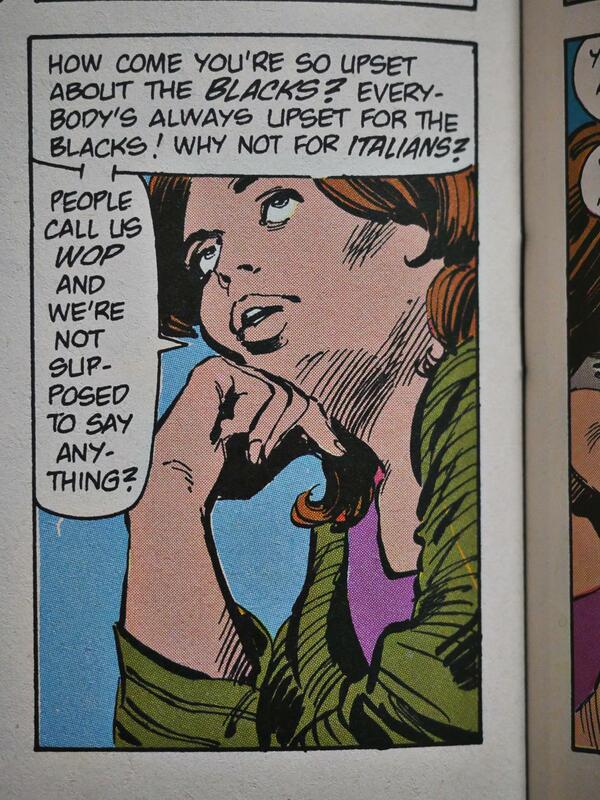 And not for the racial stereotyping in Rohmer’s work, but because they don’t like Robbins’ artwork. So they’re basically insane. 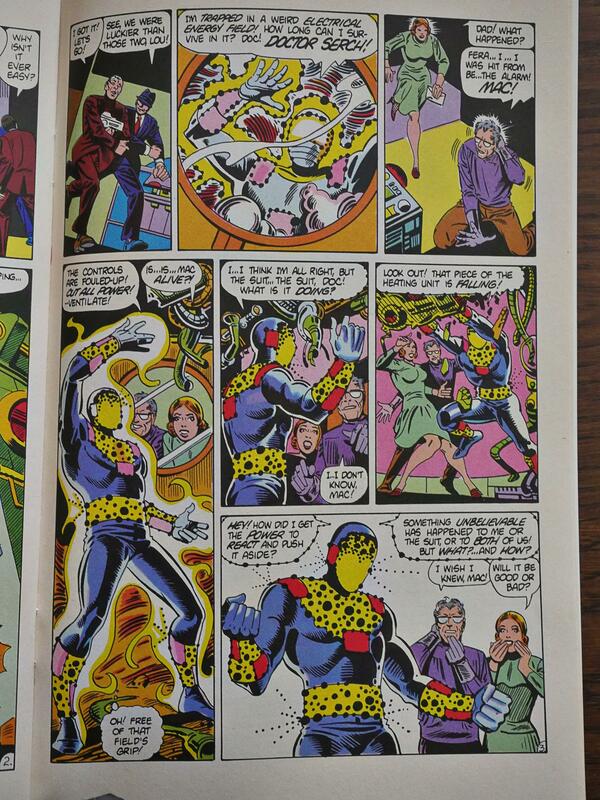 And finally, Steve Ditko (!) does Static, which is, well, a super-hero. But one that has dialogue like that. What can I say? If I had more thumbs I’d point them all up: It’s a class act and a Platonic ideal of how a indie/ground-level anthology should have looked in 1983. 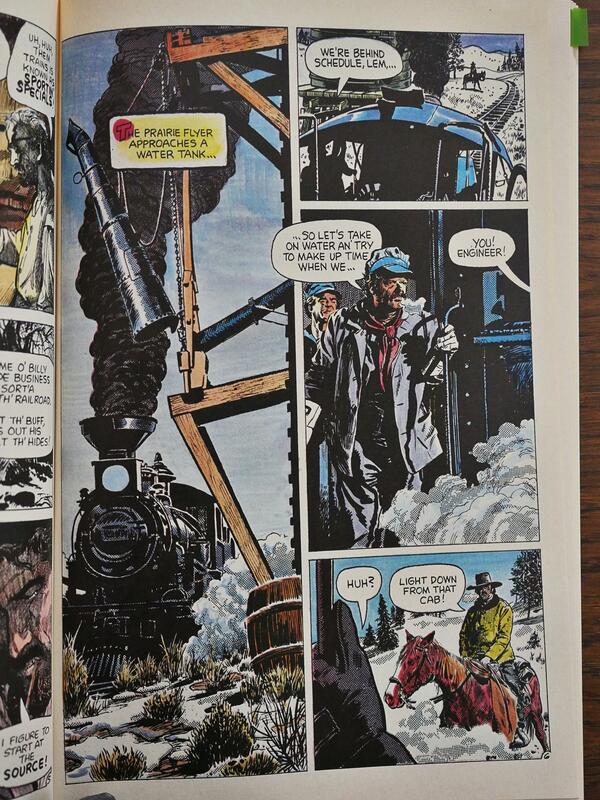 It’s impeccably produced (Doug Wildey’s wonderful colouring job on his story is given a really sensitive reproduction) on nice paper, and it’s a fine mixture of new and old talent, all the stories are by single writer/artists, all the sections are good, and while formally varied, it feels cohesive: It focuses on narratively strong stories, and everything is along the humour/adventure spectrum. It’s no Raw Magazine, but then again, nothing is. Let’s hope Mullaney can keep this going! Well, they did… Until #3, when they announce that Ditko is leaving. Well. 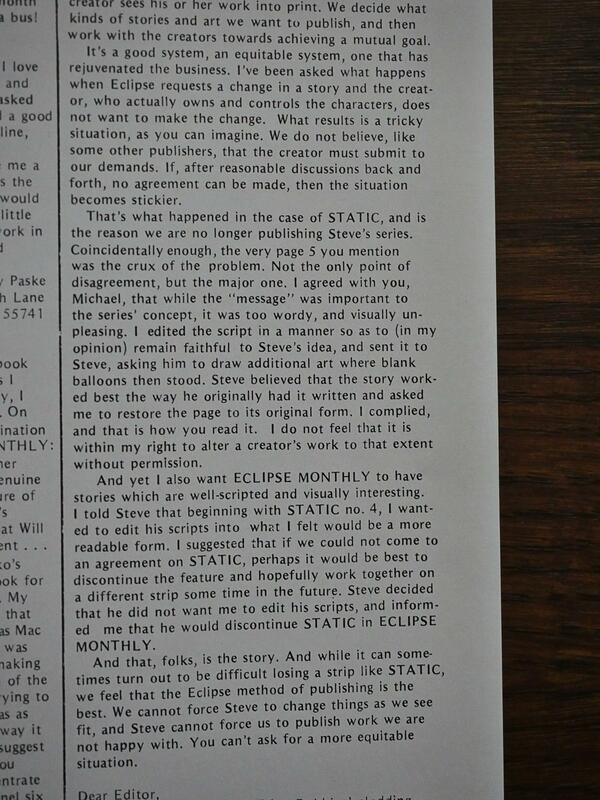 “Steve decided not to continue the series in these pages.” I seem to remember that Fantagraphics published at least one Static collection, so I guess Ditko did continue it. 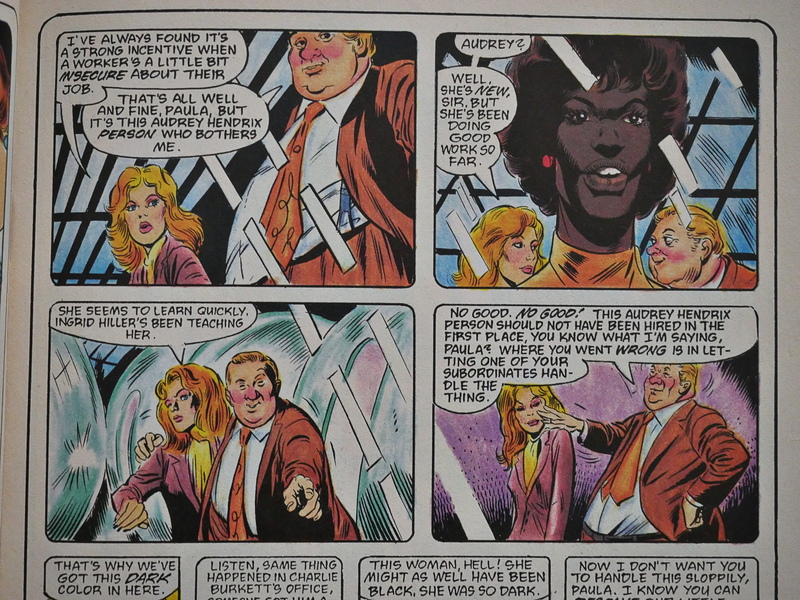 I love Janson’s colouring job here. Tee hee. Menfolk. 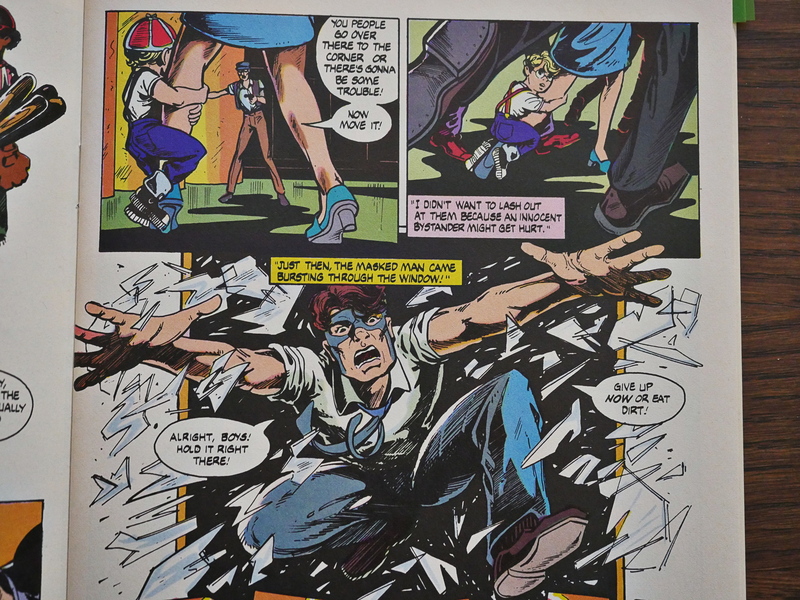 But I just wanted to mention this page, because it seemed like Eclipse were trying to corner the market on scenes of childbirth these years: There was one in Sabre, one later in Miracleman, and here’s one in The Masked Man. I the midst of comedy fisticuffs, of course. But then the rot really sets in. They’re forced to lower the page count by a third (to 32 pages), which means that you only get three features per issue. That’s not enough to give you that good anthology feeling: A single features that’s off will annoy you so much that you’ll stop buying the anthology. 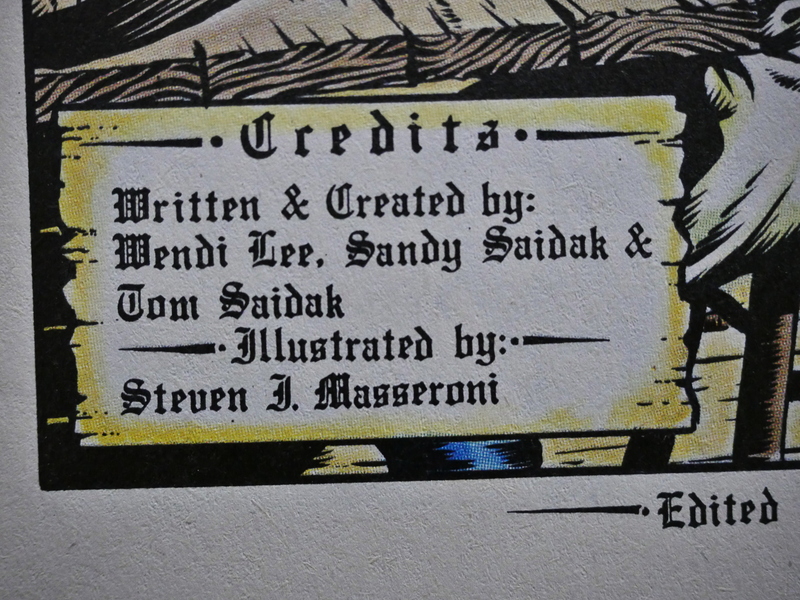 Rogers was drawing Steve Englehart’s turgid Scorpio Rose around this time, but mysteriously never finished it. Well, it’s a mystery until you’ve read what he’s doing here: He’s having so much fun, and the tale he’s maniacally telling here is 1000x more interesting than the Scorpio Rose twaddle, so… Mystery solved! Yes… That’s a lot of text. 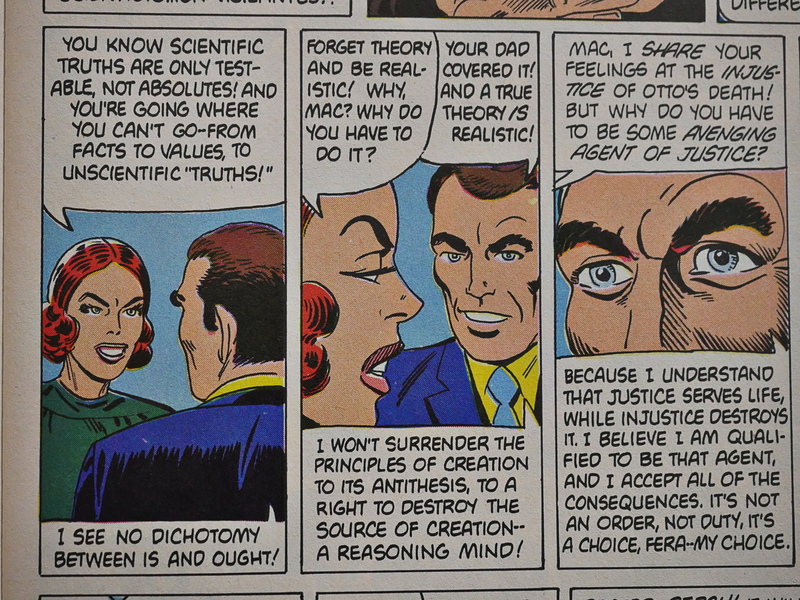 So Mullaney rewrote Ditko? And Ditko said “no”, to the surprise of absolutely nobody, and they ran the piece as Ditko intended. But Mullaney dropped the feature, according to himself. That’s a pity. I thought it was kinda fun. 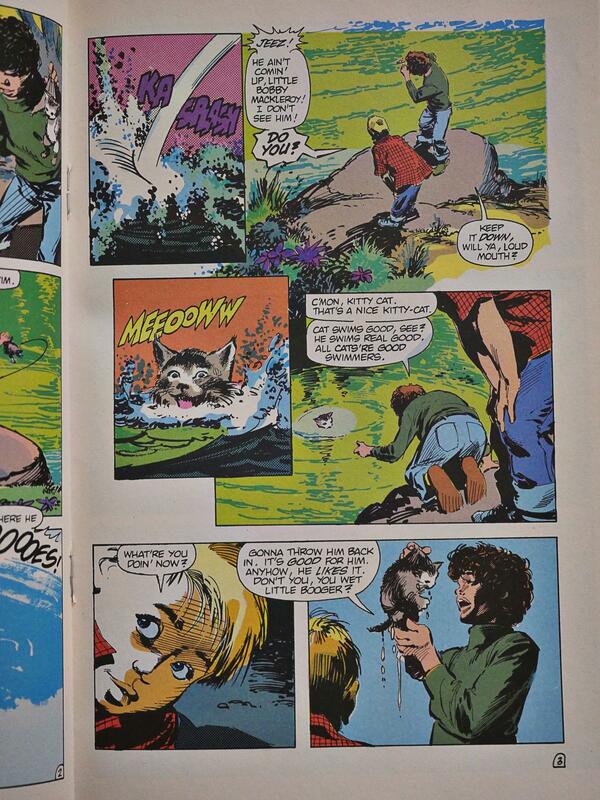 Doug Wildey does one Rio instalment that has almost no solid blacks: It’s all rasterised and painterly. Very nice. 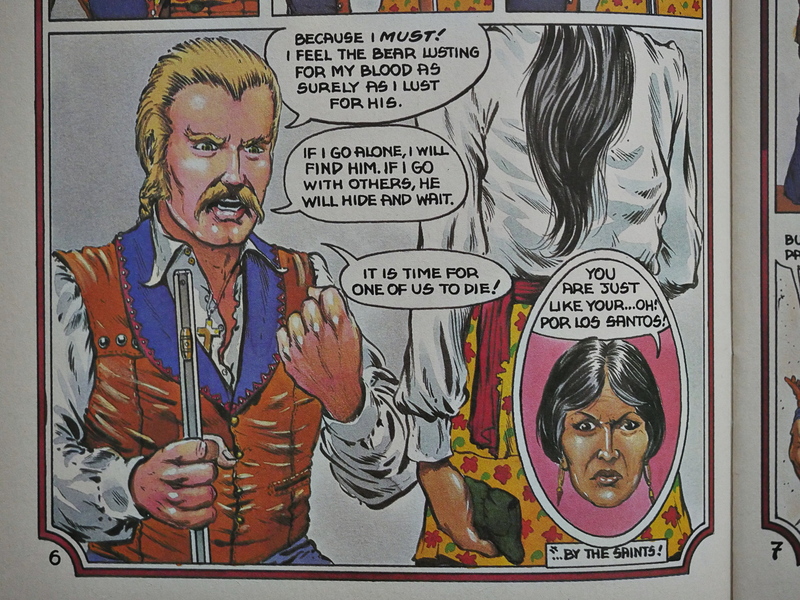 But as we trundle towards the inevitable cancellation, we get this ridiculous and somewhat offensive story about this blond(e) ranchero who fights against (non-blond(e)) evil Messicans and even eviler (that a word) bears. (Yes, evil bears.) Christy Marx and Peter Ledger are the offending creators here. 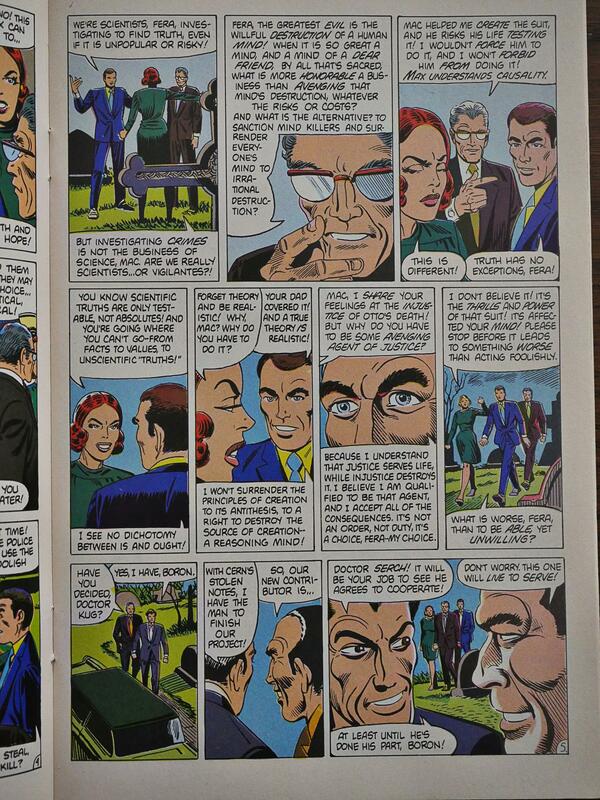 … and speaking of which… McGregor (and Billy Graham) tackle the evil of open floor plans (and racism). It’s a rather effective piece. I mean, not effective in fighting racism (or open floor plans), but it’s good. *sigh* But we get things like this… thing… with a total of three (count em three) writers (and creators). Only one artist, though. With that many writers (and creators), the writing has to be off the curb, right? And then it’s over after ten issues. As declines go, it’s a pretty steep one. It started off with a bunch of top-notch cartoonists in a very satisfying package, and ended up with about half of the content being less than interesting. That most of that decline was perpetrated by writer/artist teams isn’t very surprising: That’s the norm. Still. If you happen onto these in the 50c bins, you could do a lot worse than grabbing the stack. What did the critics say at the time? 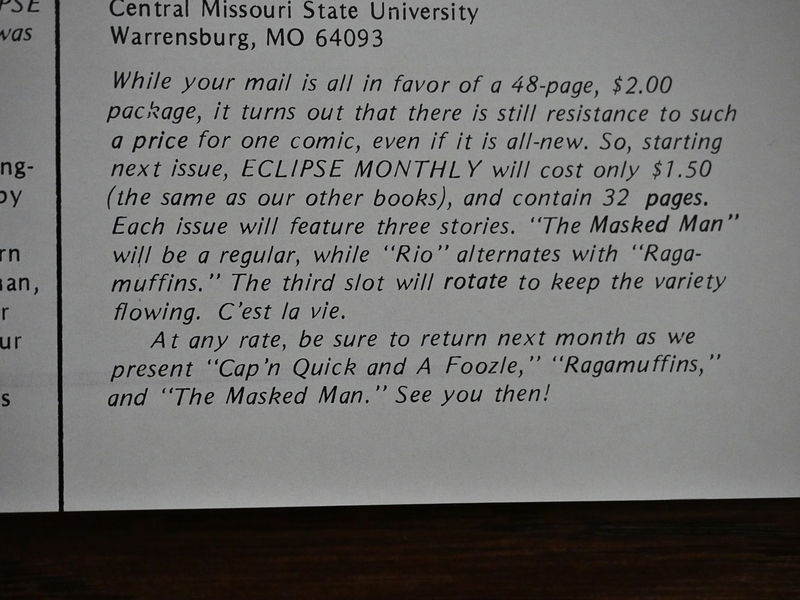 Obviously the quality Of the pieces in any such project is going to vary, but this title’s editors deserve some credit; the best of Eclipse Monthly is pretty darn good, and the worst is at least interesting. 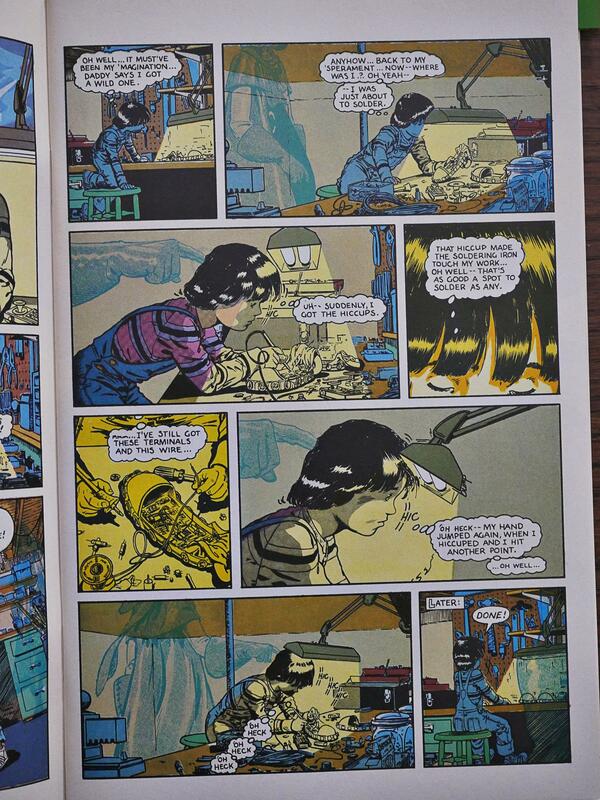 Russell Freund, Comics Journal #90. 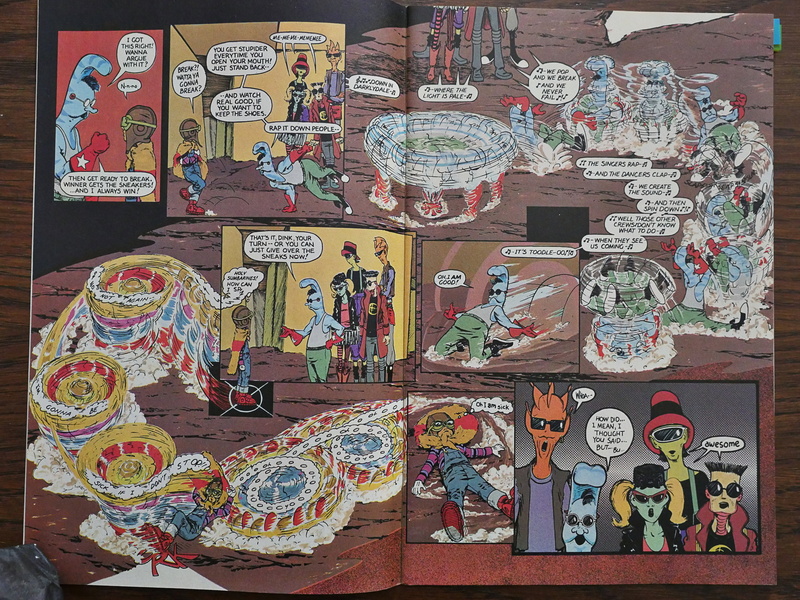 He goes on to write a couple more pages, but nothing especially quotable… But he excerpted the same two Static panels that I did, which shows that he’s a man of great intelligence and taste.